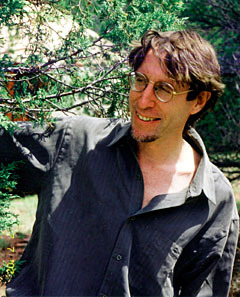 Known as a visionary cultural ecologist and philosopher, David Abram will give a talk titled “Wilderness and Shadowed Wonder: Some Words Against the Forgetting of the Earth” at 7 p.m. Monday, Nov. 3, in the Keck Classroom (G52), Pettengill Hall, Bates College. The public is invited to attend the annual Bertha May Bell Andrews Memorial Lecture in Ethics and Education free of charge. “Wherever we turn today, we discover nature in disarray as a result of society and its global surge,” Abram says, “our fellow species tumbling into extinction, the climate shivering into a fever, the whole more-than-human matrix convulsed by the effects of our disregard.” His talk will address the obliviousness of human culture to its earthly world and the means by which individuals might break free from the constraints imposed by outmoded cultural assumptions to find a new alignment with the animate Earth. An accomplished sleight-of-hand magician who has lived with indigenous sorcerers in Indonesia, Nepal and the Americas, Abram’s essays have appeared often in such journals as The Ecologist, Orion, Parabola, Resurgence, Wild Earth, Tikkun and Environmental Ethics, as well as in more than 30 anthologies. The recipient of numerous fellowships, Abrams lectures and teaches on several continents. The Utne Reader named him one of 100 leading visionaries currently transforming the world. His work focuses upon the ecological dimensions of human culture, upon the shifting relations between science, technology and lived experience and upon the intertwined mysteries of perception and language – the ways in which these two phenomena modulate the ethical relation between humankind and the animate Earth. Nomadic by nature, Abram and his wife, nature educator Grietje Laga, circulate between the southwest desert and the northwest coast of North America. He maintains a passionate interest in interspecies communication and in the rejuvenation of oral culture. A signature talk at Bates since 1975, the Andrews Lecture is a memorial to Bertha May Bell Andrews, who served on the Bates faculty from 1913 to 1917 and established the women’s physical education program at the college. Her son, Dr. Carl B. Andrews of the Bates class of 1940, established the lectureship.